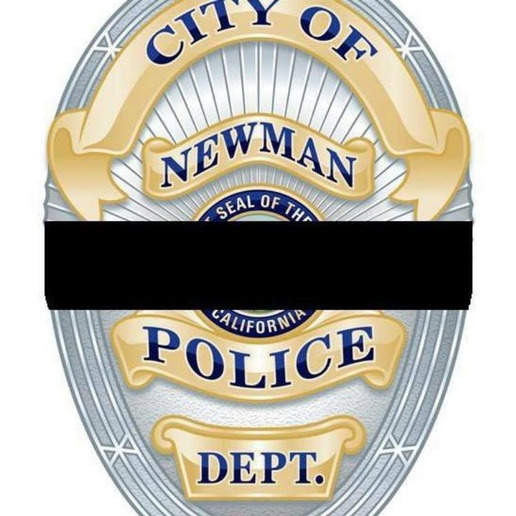 The Newman (CA) Police Department is mourning the death of Cpl. Ronil Singh as a multi-agency manhunt continues for the officer's killer. Investigators believe the man suspected of killing Newman, CA, Police Cpl. Ronil "Ron" Singh is still in Stanislaus County, Sheriff Adam Christianson said in a news conference Thursday morning. "We will find him, we will arrest him, and we will bring him to justice," said Christianson. Singh, 33, was shot and killed at 1 a.m. Wednesday after pulling over a suspected drunk driver at Merced Street and Eucalyptus Avenue in the Northern California town of Newman, reports the Modesto Bee. He exchanged gunfire with the suspect but is not believed to have hit him. While Christianson said investigators have identified the suspect, they will not release his name. He said the suspect is in the county illegally. "He doesn't belong here; he is a criminal," Christianson said. An emotional Newman Police Chief Randy Richardson also spoke at the conference, focusing on Singh and what made him special. He spoke through tears about Singh and the impact his death has had on the small department of 12 sworn officers. This is the first line-of-duty death for the Newman Police Department.